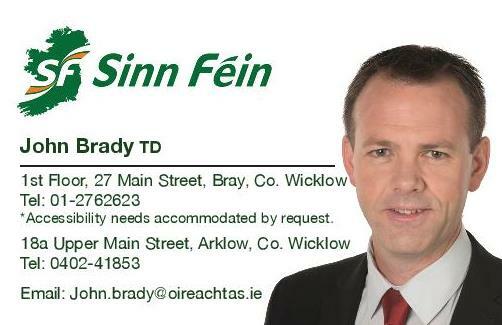 Sinn Féin Spokesperson for Social Protection John Brady TD has cautioned the Government on making unnecessary changes to MABS and the Citizens Information Service at the cost of the taxpayer. “MABS and the Citizens Information Service provide a first class and a unique service which must be protected. “The underhand manner in which the decision of re-structuring has been made by both the Department of Social Protection and the Citizens Information Board without proper consultation with stakeholders is unacceptable. “It is ridiculous that neither MABS nor the Citizens Information Service have been given any explanation as to the rationale for the planned re-structuring. “I had requested that the Committee on Social Protection invite in the stakeholders and produce a Committee report on the proposed plans and this work was almost complete with the report due next week. “Instead, and without the completion of this process, Fianna Fáil have sought to use this issue in bringing forward this motion which is nothing short of political opportunism. “In consultation with MABS on this motion, I have brought forward an amendment that rejects the need for any cost benefit analysis of the restructuring process given the voluntary nature of the services currently. “This amendment also calls on the Minister to ensure that the existing model, where independent management of the service is drawn from local community and voluntary sector, is maintained.